Dig for your dinner from the sea on a spring break getaway where all you need is a paddle, a PFD and a spirit of adventure. Kayak Tillamook supplies the boats, the paddles, PFDs (Personal Flotation Device) and the expertise while you slip inside the cozy confines of a sea kayak that allows you to go paddling for clamming. 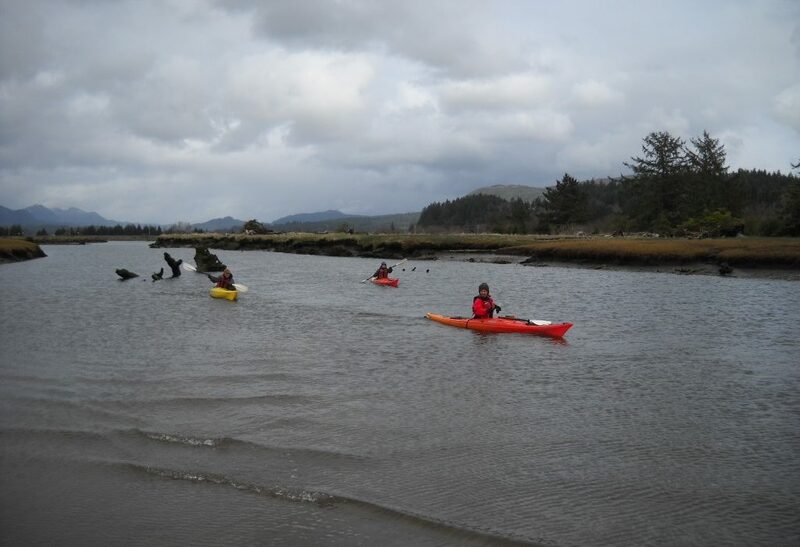 A slow moving outgoing tide eased our paddling from the Nehalem Bay County Boat Ramp (located just off Coastal Hwy 101 north of Wheeler, where you should be prepared to pay $3 for a parking permit) on a journey toward inter-tidal mud flats. Our party traveled to the area at this particular time of the tide for good reason: we wanted to dig our dinner – really! We were after bay clams that most folks either overlook or have never heard of — the Eastern soft shells. As the name suggests, Eastern soft shell clams are not a native clam species. The bivalve was introduced to Oregon coastal estuaries more than a century ago to jump-start a commercial shellfish industry. 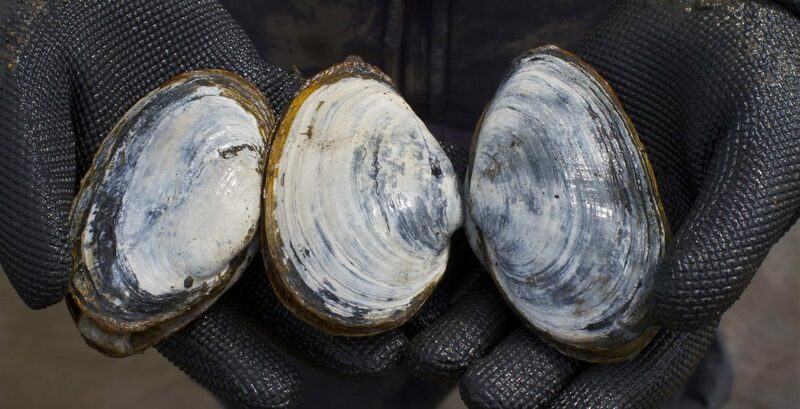 Mitch Vance, a shellfish biologist with the Oregon Department of Fish and Wildlife, said that the Eastern soft shell occupies a unique habitat niche that doesn’t compete with other more popular bay clam species like cockle, steamer or quahog clams. As a result and put simply, the Eastern soft shell doesn’t get a lot of pressure. 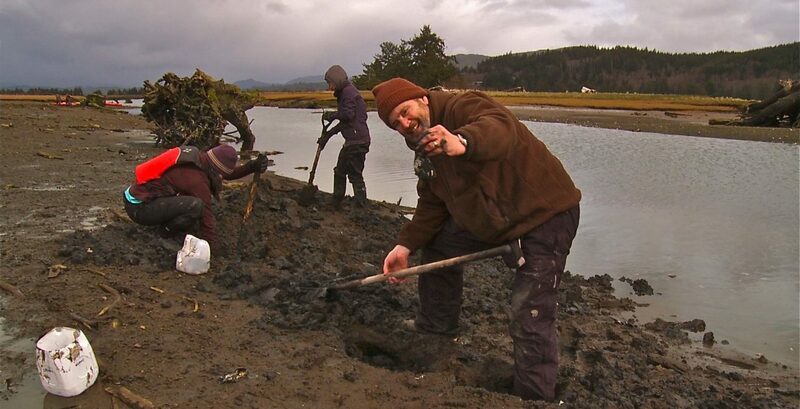 The lack of popularity may be the reason for a generous 36-clam daily limit, plus the fact that digging the clams takes effort and you should be ready to get dirty. The clams live in a soft sandy, gravelly and even muddy substrate and you must dig down a foot and a half to reach them. My favorite technique is to dig a large hole and then excavate the sides of the hole outward. This technique reveals the clams where they live. If you follow the technique you can easily pick the clams off the sides of the ever-growing hole. Be prepared to get dirty, but for me, it’s sort of activity that makes you feel like a kid again! Remember that all clammers 14 years and older must have an ODFW shellfish harvest license. Each clammer must bring a container for the catch too. “Everyone should dig their own clams and keep them in their own containers. That way we avoid one person digging clams for others. 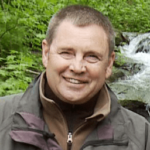 Each person should take part in the recreation,” said Vance. In addition, if you choose to paddle your own canoe or kayak, remember that you must purchase/carry an Oregon Aquatic Invasives Species Permit. The permit is required for boats 10′ long and longer. The annual permits are for sale through ODFW License agents or from their website. One and two-year Tyvek tags are available through the Oregon State Marine Board. The soft shell clams reach 4 or 5 inches in length and the digging of the clams is really just the start. For me, the best part of the adventure takes place in the kitchen, where I enjoy cooking the catch even more. A flick of a sharp knife blade opens the clam shell and then the meat is rinsed off. I also cut away and clean off the clam’s stomach and its contents. Most of the meat in an Eastern soft shell clam is found in the neck. I like to use the knife blade to open up the clam neck, so the entire affair lies flat on a plate. In my kitchen, the clam meat gets a bath of flour – then an egg wash and then another bath of cracker crumbs before it goes into the hot oiled frying pan; I prefer olive or vegetable oil. Don’t cook the clam more than a minute per side, for there’s nothing worse than an overcooked clam. The cooking of the catch rounds out the day-long adventure – one that’s waiting for you in an Oregon estuary this spring and summer. The Oregon Department of Fish and wildlife offers an online shellfish map that locates bay clams beds throughout the state’s coastal estuaries – it’s a valuable resource for novice or experienced clammers alike. After removing the clam necks from the shell, peel off the outer brown skin and cut off the black tip. Then “butterfly” the neck so it lays out flat. Coat the pieces in flour, egg, then bread crumbs (panko or cracker crumbs work well too) and lightly salt and pepper if desired. Heat oil in a medium skillet until hot enough to fry. Cook clam until golden brown – just a minute or so or they quickly become chewy.